Unique Shauna Shiels dress made in October, 2011. 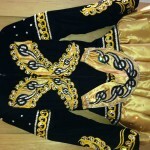 Deep black velvet dress with dramatic yellow/gold Celtic appliqué and embroidery. 1000’s of clear and tear-drop crystals give this dress dramatic stage presence. 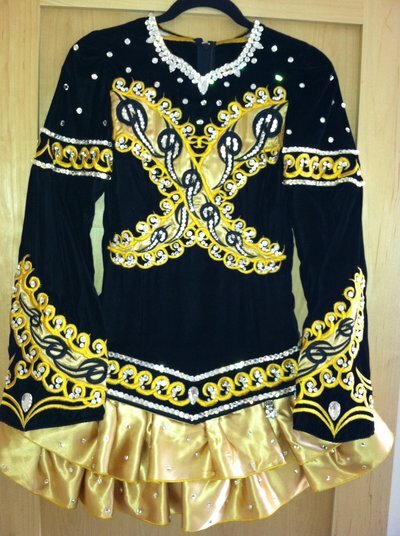 Skirt is double ruffle gold satin also accented with crystals. 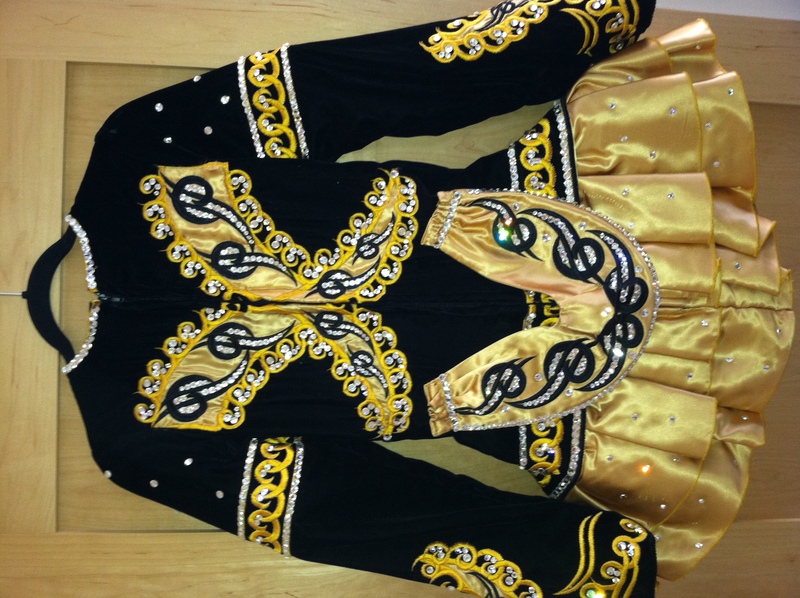 Sweet horse-shoe style cape is covered in crystals for great stage presence front-and back! Dress has been worn 10 times. Applique areas have some areas of wear. Please email for additional photos or with other questions. Measurements are of dancer that we sent to the dressmaker. There is plenty of let-out room at the back of the zipper.